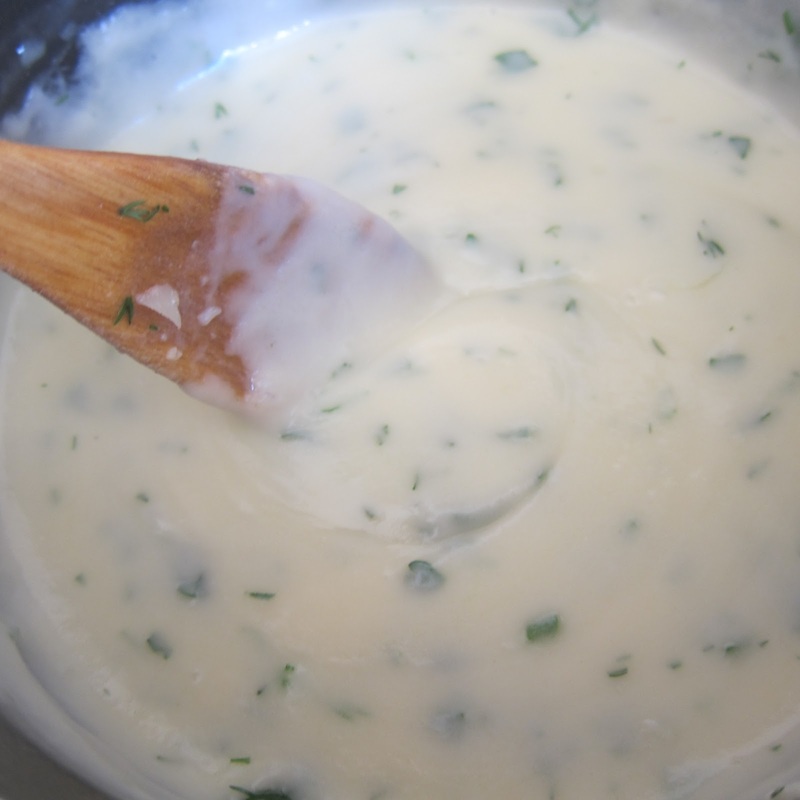 I think everybody should learn how to make a white sauce, or béchamel: my French mother did too. She insisted on teaching me before I got married, along with how to make pastry, and I have been grateful ever since. Once you have mastered it, you are all set to produce a variety of dishes ranging from gratins to different kinds of lasagne, macaroni cheese, fish pies, quiches and even delicious croque monsieur. So it’s a great addition to your culinary repertoire. But what is a gratin dish? 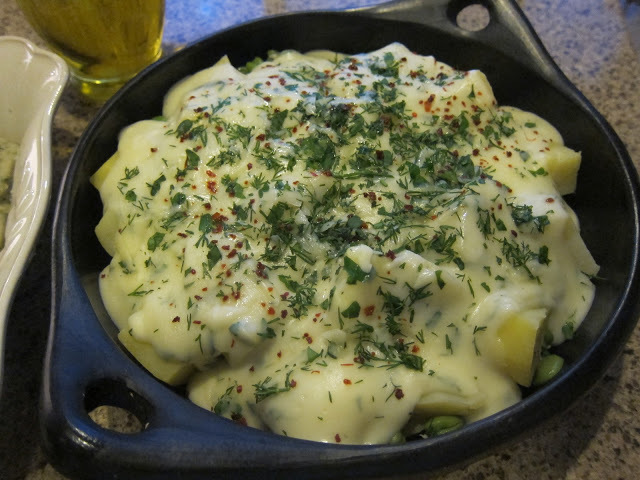 Basically it’s cooked vegetables covered in a white sauce, sprinkled with cheese and baked in the oven to an attractive golden colour. So simple, so tasty, the ideal accompaniment to any meat or even fish dish. Or if you are having a buffet supper party and want to add a dish to make the table look richer, this is a good one to have up your sleeve. 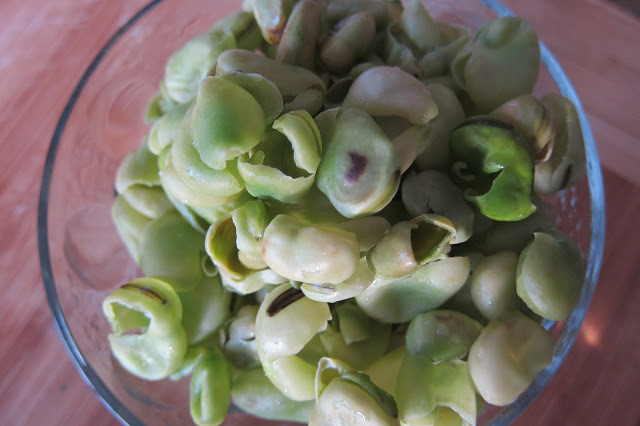 Broad beans – bakla in Turkish – are such a wonderful spring legume and right now in Istanbul, the markets are full of them. They do have the dubious honour of having to be podded not once but twice if using like this, but not difficult. I love the cheery bright green colour once you get there! · *Boil, steam or microwave beans till tender. Drain, refresh under cold water, then remove and discard outer skins. · Cut potatoes into 2cm pieces; cook in a large pan of boiling water, uncovered, until just tender. Drain. 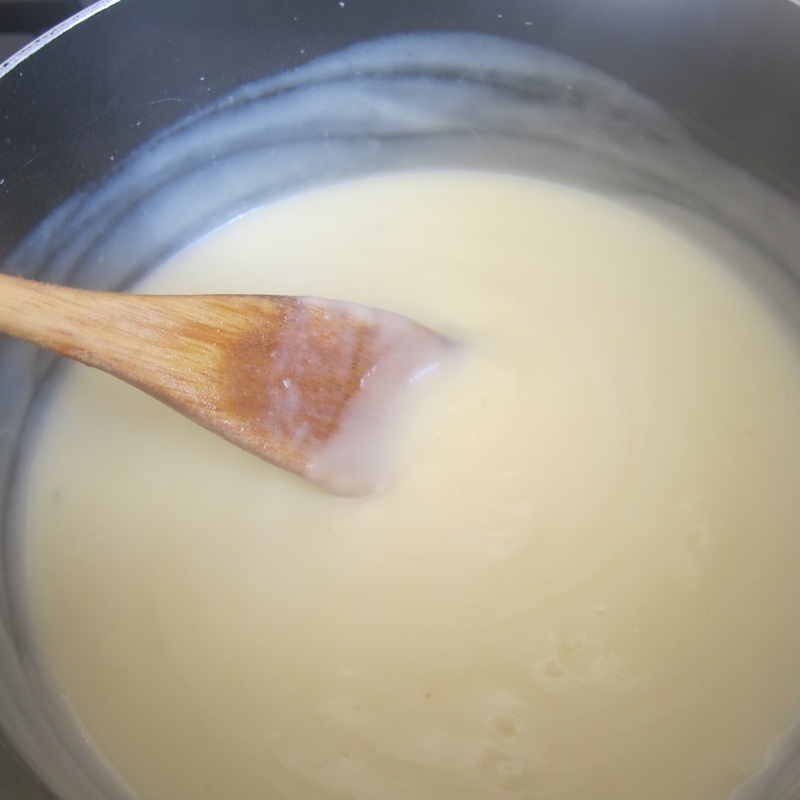 · Melt butter in a small pan over gentle heat; add flour a spoonful at a time, stir with a wooden spoon or use a hand whisk, over heat until bubbling. Keep on stirring, if there are lumps, they will disappear if you stir! If things are happening too quickly for your liking, you can always take the pan off the gas and incorporate the flour away from the heat. Cook it gently just a little: this is to take away the floury taste. Very gradually stir in milk until mixture boils and thickens. Season accordingly. 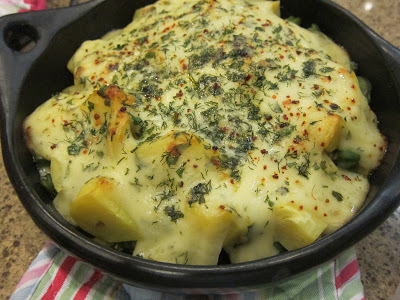 · Stir in stock powder, garlic, cheddar and half the thyme; cook 1 min. 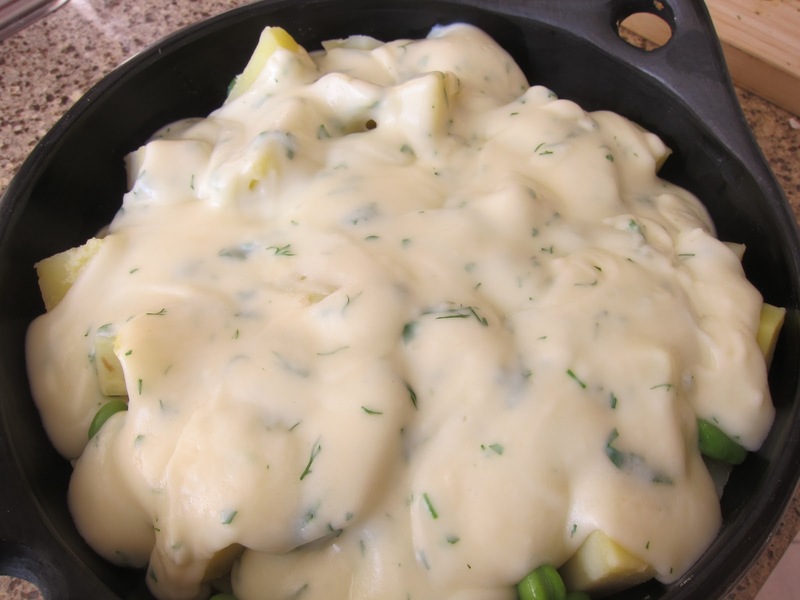 · Combine beans and potatoes in a shallow 1.5-litre/6-cup ovenproof dish; pour sauce over vegetables. Scatter combined parmesan and remaining thyme over top. · Bake uncovered for about 35 mins at 180C° -190C°/350F°-375F° or until browned lightly. 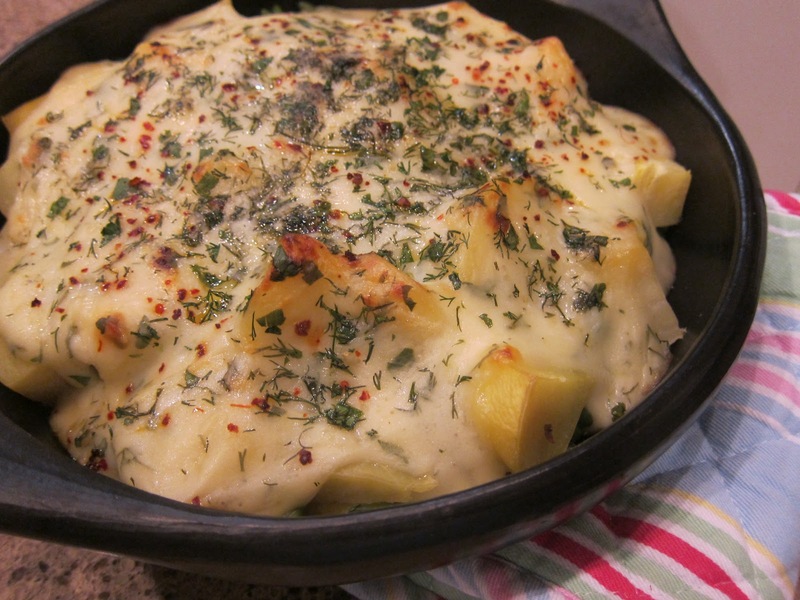 Any gratin dish can be made in advance, covered with cling film and kept in the fridge till required. Best made the day it is to be eaten. Make sure the oven is nice and hot when you put it in. You may find it takes more time than specified here. Freezing is not a good idea. 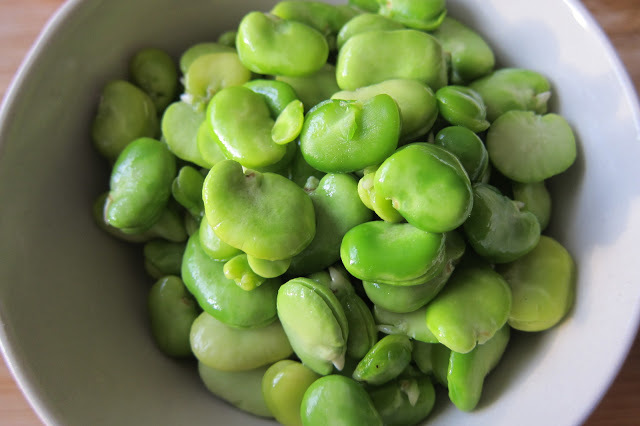 · *To boil a kilo of shelled broad beans, add them to a large pan of boiling water; boil, uncovered, 2 mins. Drain then refresh under cold water ie run them under the cold tap in a sieve. This is to stop the cooking process and to preserve the bright green colour. this sure looks good. i can not get broad beans here. This is a good idea. I only ever use the twice shelled beans in salads or on toast – time for a change. This sounds delicious. Gratins are my favorite way to do many vegetables. Don't think I can get broad beans here, but they are really pretty. Such an amazing sounding recipe! 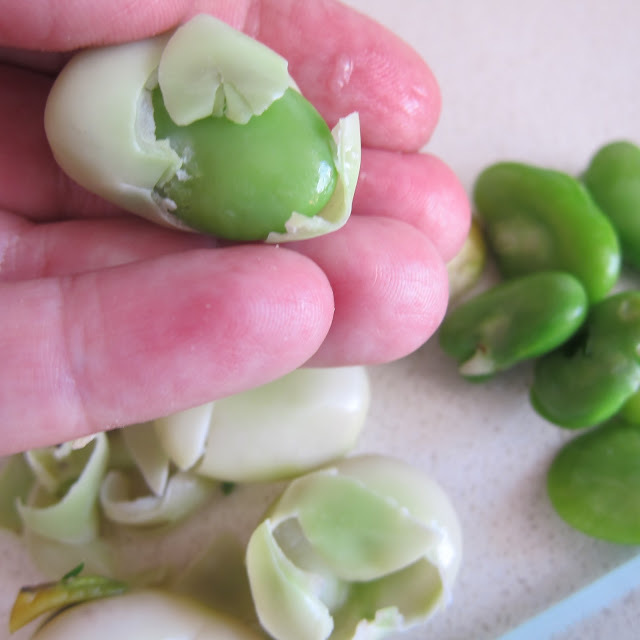 I adore broad beans and am going to try this. Thanks so much for posting it. I haven't made gratin in a long time. You gave me an idea. There are lots of fava beans here in Rome at the moment. I usually just use them in pasta con le fave, but this dish is tastier. Brava! Aaaaahhh, so I learn your secret. A French mother! Lovely recipe. Thanks for sharing! This looks very good and the beans are so pretty. This dish is a great idea to try soon! Hi Claudia, hope you are well. Just catching up on my favourite blogs and I loved this recipe and the biscuits in particular. This is a particulary nice recipe you have designed. Thank you! I am also grateful for the ability to make proper white sauce from scratch. It is incredibly versatile, especially when you start playing around with adding to it, like cheese, parmesan, vinegar, black pepper..mmmm! I love your use of fresh herbs. A very big must in my opinion.